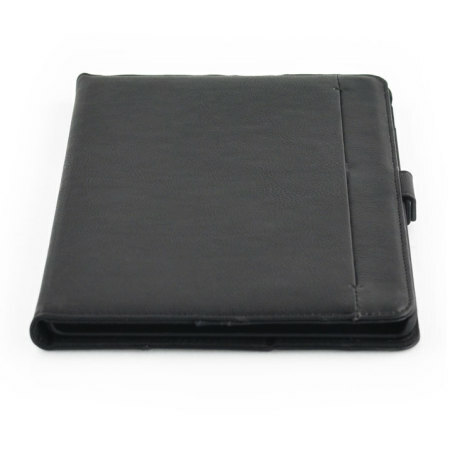 Protect your iPad Pro 10.5 with this fantastic black leather-style stand case. 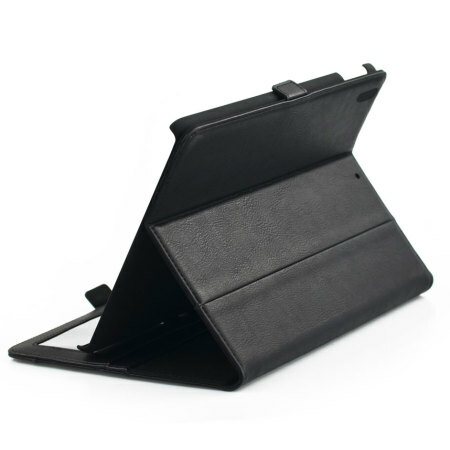 The frame folds out to become a media viewing stand, perfect for streaming videos or gaming. 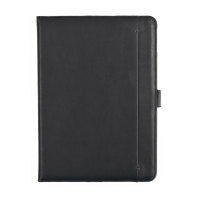 This case also includes an impressive 5 card slots and 2 large document pockets. The case feels sturdy and solid. The only downside is that there is magnetic function. 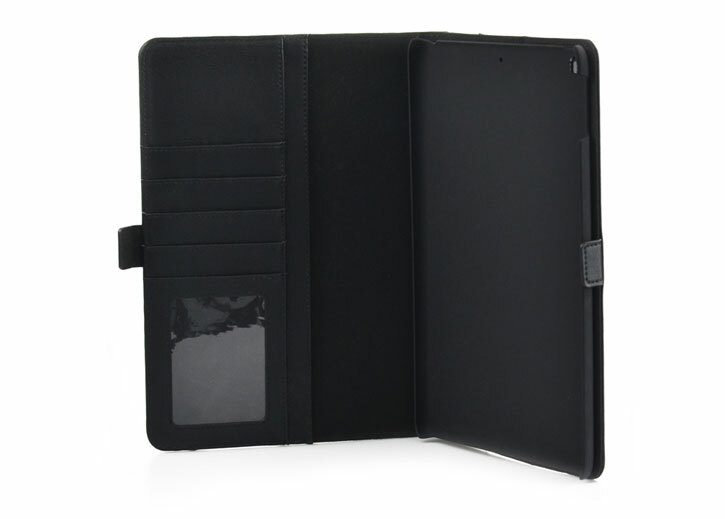 That is the tablet does not turn the screen on when the cover is opened. If anything it would be improved by a discrete pocket for the Apple Pencil and reinforced corners on near the lock button and volume switches. But heck it was only $25 delivered and appears to be hanging in well. 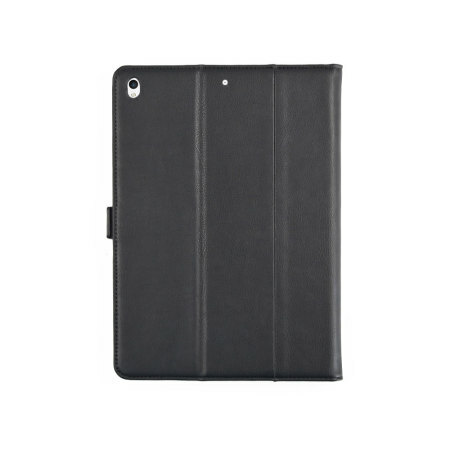 This case will give excellent protection against everyday knocks, drops and scratches to ensure that your Apple iPad Pro remains looking as good as it did from the moment you first took it out of the box. 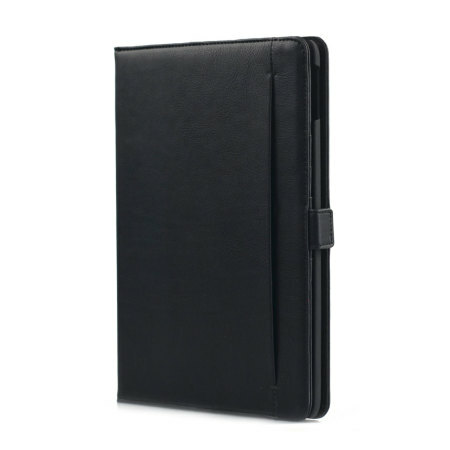 When you've got a device as beautiful as the iPad Pro 10.5, you need a case which complements that signature design. 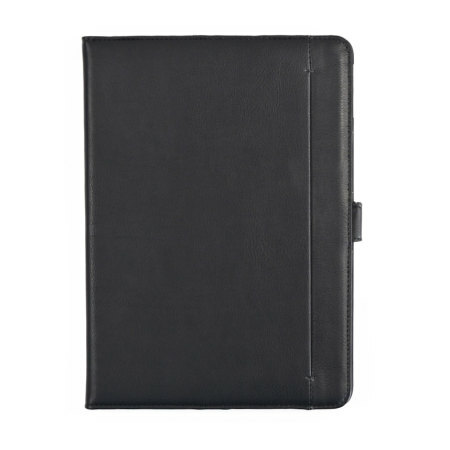 This leather-style case from Olixar is the perfect option thanks to a smooth, sleek aesthetic which emphasises minimalist class while bringing out the full potential of your iPad's design. 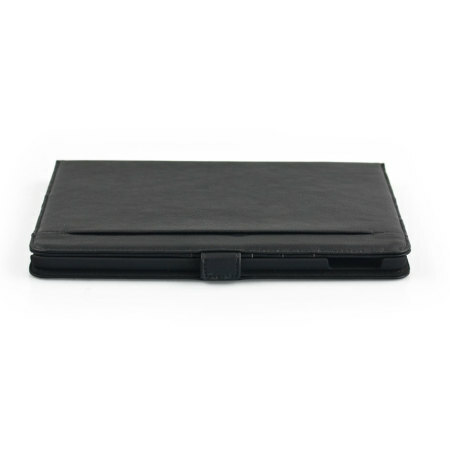 This case features a unique rotating function that allows you to quickly change between portrait and landscape orientations, perfect for quickly changing between typing and watching movies and pictures. Why not ditch the bulky briefcase and travel light? 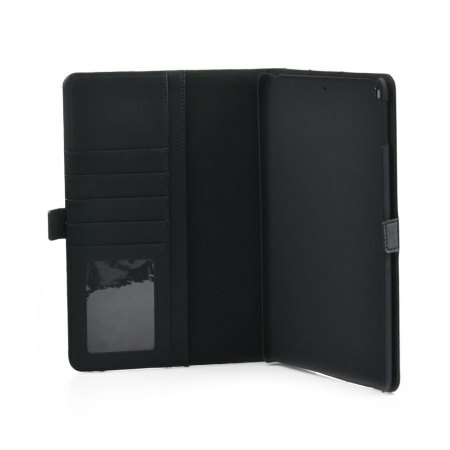 This iPad case has 5 card slots, perfect for storing your driving licence, debit cards, loyalty cards, bus passes and more. 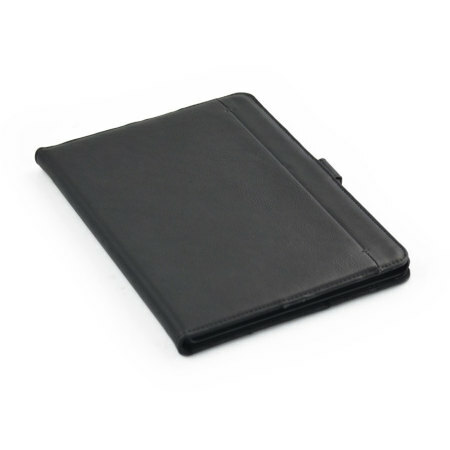 Need to carry around larger paper items like cash or important work documents? 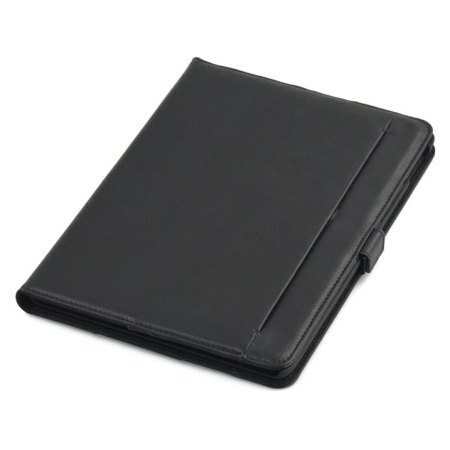 Using the 2 document pockets in this case, you can carry pretty much any document you might need in your day-to-day life. 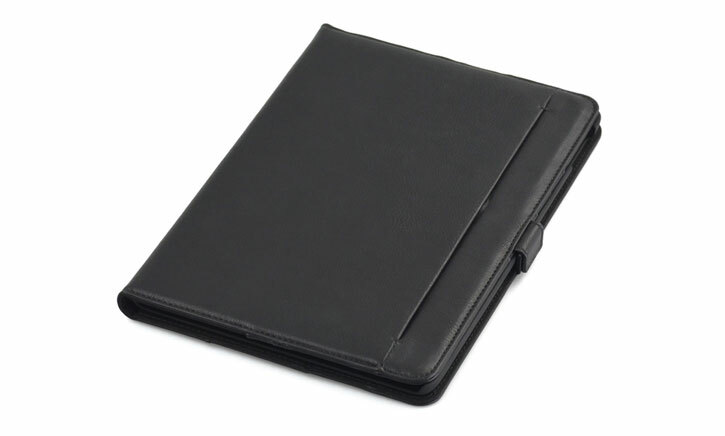 You can keep your case on your iPad Pro at all times. 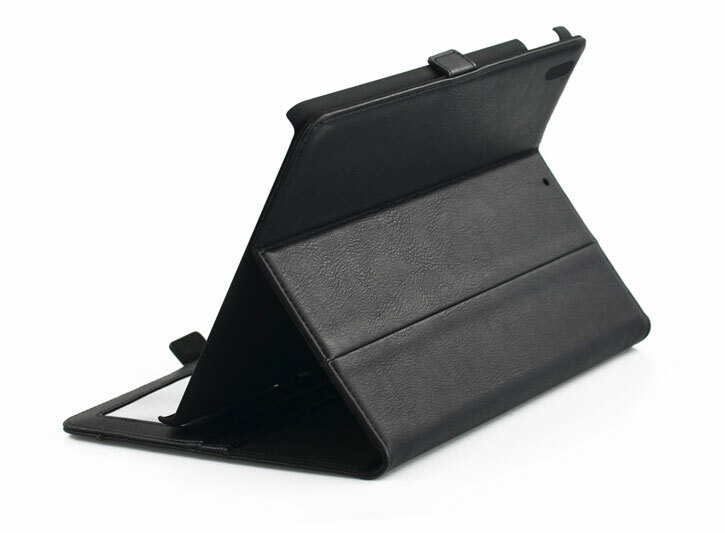 The Olixar Rotating Stand Case allows you to enjoy the full functionality of your iPad without having to remove the case, as it has specialised cut-outs for all of the ports and features of the iPad Pro.